Eliminating the extraordinary array of challenges presented by a sewage backup New Orleans event takes true dedication and expertise like the kind instilled in our specialists with 911 Restoration New Orleans. When a sewage backup situation takes place in your home or business, it will likely involve dirty water that can be harmful to your health and that of your family as well. Sewage water comes in three categories that range in their hazardous nature. No matter what kind of water ends up in your home, our sewage backup New Orleans specialists can take care of it with ease for you. This is because our experts are not only highly trained and ready for anything, but they are also IICRC certified, licensed, insured and bonded for every kind of situation that requires restoration work and services. Don’t give sewage the chance to grow black mold spore colonies in your home or business. Contact our sewage backup cleanup New Orleans specialists with 911 Restoration today! Our sewage cleanup New Orleans experts have been providing the people and businesses of the area with solutions to their backup needs for long enough to know that simple maintenance checks will prevent most situations from occurring. People should always make sure to have their plumbing system inspected once every two to five years so that any small obstacles will be identified and eliminated before they expand and cause sewage backup damages. Make sure to barricade the water from a toilet overflow so that it doesn’t spread to porous materials which will need to be removed if inundated. Once a barrier or stopgap has been established, call 911 Restoration to start eliminating the toilet water from the area through pumps and dryers. After all of the toilet water has been soaked up, drying out the residual moisture that may be lingering in the area. 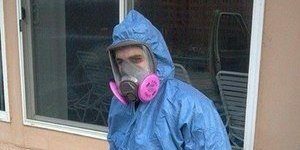 When cleaning up, we use special techniques so that any pathogens that may be present are destroyed so that they won’t affect the health of you and your loved ones. The best way to prevent a sewage backup is to contact our specialists with 911 Restoration New Orleans, so if your home is experiencing this at present, then call us now! 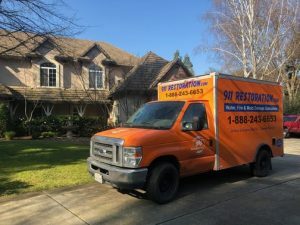 We value professionalism and offer same day service, guaranteed to rid your property of dangerous sewage and prevent mold. Our sewage backup New Orleans technicians apply a multi-dimensional approach in performing water extractions. This includes safeguarding occupant health, sanitation of harmful contaminants, salvaging property, and restoring your home or business to a clean, odor-free state. We are licensed, insured, and bonded, using the latest drying technology to perform efficient clean up and drying services. Working with all insurance companies gives us greater customer satisfaction, so contact 911 Restoration New Orleans when your sewage comes back to haunt you. 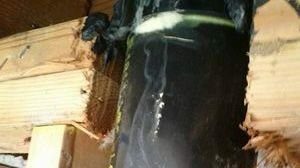 If your office location, home, or anywhere else you know is already amid a black water invasion, then contact our sewage backup cleanup New Orleans team with 911 Restoration New Orleans for relief today!